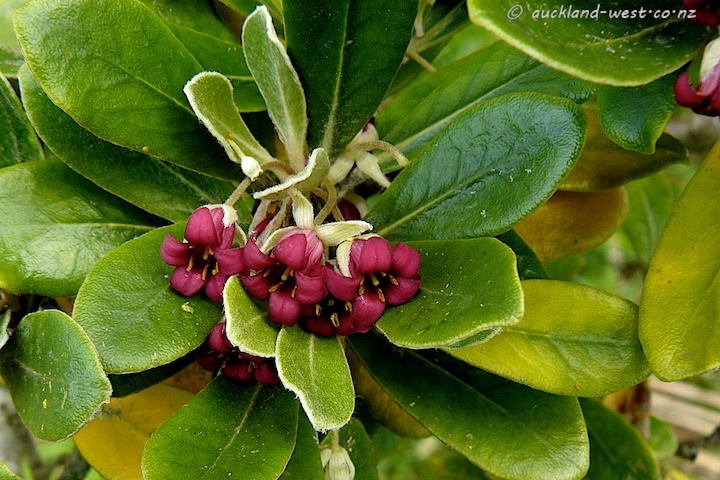 Karo (Pittosporum crassifolium) is a shrub or tree with leathery leaves. Presently flowering in the Waitakere Ranges. That shade of red appeals to me.